A Malay woman who was late for her flight was so determined to change her fate, she chased after the plane she was supposed to be on while it was about to take off. The woman, who was at Bali's Ngurah Rai International Airport, was bound for flight QG193 to Jakarta on 18 November, The Straits Times reported. She arrived at the boarding gate 10 minutes before the Citilink flight was scheduled to take off at 7.20am, according to Channel NewsAsia. Upon realising that her flight had not yet departed, the woman ran past security officers at the boarding gate and onto the tarmac. A video of the woman struggling as two airport officials held her by her arms was posted on social media. The woman can be seen lying on the ground before she is restrained. 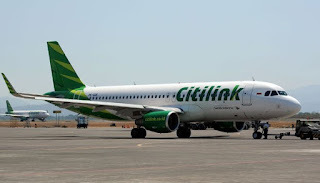 After the woman was declared "safe to fly," Citilink placed her on a later flight at 4:40pm, Coconuts Bali reported. PT Citilink Indonesia VP Corporate & CSR Secretary Ranty Astari R denied that the woman was given a free ticket, and explained that they merely allowed her to reschedule her flight.